The exclusive, coastal-inspired community of Miller’s Point offers a feeling of escape from the hectic city while still being a short drive from restaurants, shopping, and entertainment. Prime Building Advantage will be managing the sales and marketing, partnering with Stonewall Capital. 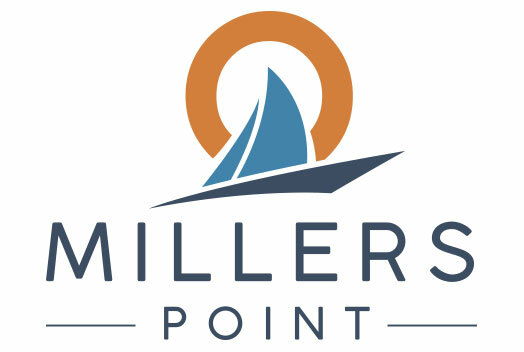 “We have had great success working with Stonewall Capital in the past; we are pleased to partner with them on Miller’s Point. This is an exciting project and a unique product offering,” said Charlie Hatter, co-owner of Prime Building Advantage. Miller’s Point offers detached and semi-detached homes with three and four bedroom options. An owner’s suite, complete with living area and deck to view breathtaking sunsets, are just a few of the well-planned design elements created to capitalize on the spectacular location. And that’s not all. Decks on multiple levels of each home provide the perfect opportunity for entertaining or unwinding. “Something really unique about these homes is that they each come with their own boat slip,” said Hatter. Quick access to 695 makes Miller’s Point ideal. Restaurants, shopping, and entertainment at the Inner Harbor and The Avenue at White Marsh are less than thirty minutes away. Sticking closer to home, Sparrows Point Country Club offers its members a pool, dining, tennis, and golf. Nearby is the North Point State Park where history buffs can hike the Defenders Trail that dates back to the War of 1812. Scenic views overlooking the Chesapeake Bay make hiking and biking highly desirable. Miller’s Point is among the finest waterfront homes in the greater Baltimore area.